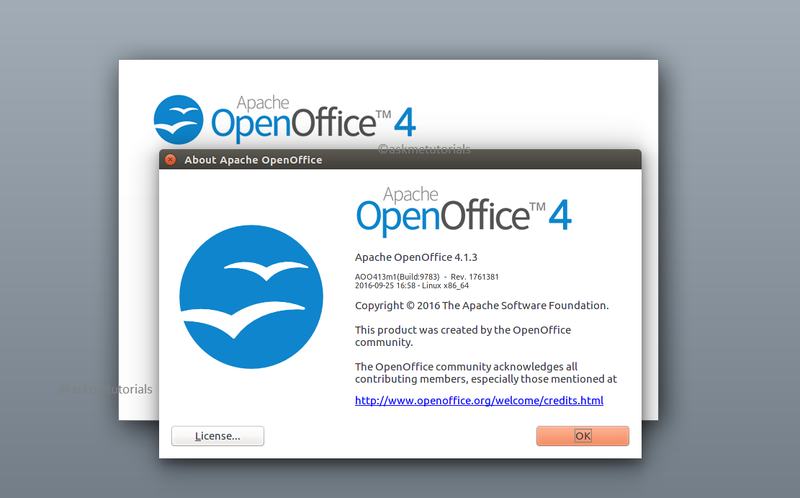 In this tutorial i will show you how to install the Apache Open Office 4.1.3 on Ubuntu 16.04 LTS /older versions, LinuxMint 17. It contains Spreadsheets,Presentations,Graphics,Word processing and more.It is an open source software so free to use and also available for Multiple operating systems Windows ,Linux and Mac OS-X. The fix for security issue CVE-2016-1513, previously only provided in source code and as a hotfix patch, is incorporated in the 4.1.3 binary distribution. A regression effecting all database tables and queries on Mac OS X was fixed.